In ancient times, across countless cultures throughout history, there were gifted oracles who spoke directly with nature, interpreted signs and omens, and communed with the gods for messages with extraordinary clarity and foresight. Much of this ancient wisdom and many of their divinatory tools have been forgotten with the passing of time.? 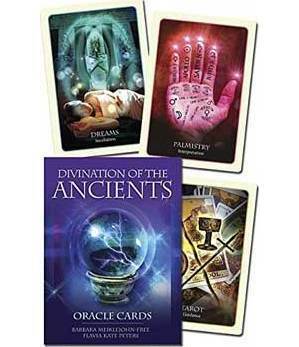 This unique deck brings them together again, offering the chance to reconnect with different fortune-telling tools and modalities as well as rediscovering the ancient significance of a multitude of omens and signs from the universe. By rebirthing these lost arts of divination we reawaken our soul's connection with the world of spirit, and gain access to the symbolic answers that guide us to our heart's true desire and higher purpose.